If youíre a newcomer to TXBA, thereís some history here that will help explain why many of my older lessons use E-Flat tuning. Before I built Texas Blues Alley, I ran a site called StevieSnacks. I began StevieSnacks as a hobby in 2007 and accidentally launched a new career authoring guitar courses and free lesson videos. The primary focus of StevieSnacks was Stevie Ray Vaughan. Stevie used E-Flat tuning, so thatís the tuning I used in the videos. It was obvious: Stevie Ray Vaughan lessons, Stevie Ray Vaughan tuning. But as the site grew, I branched out into more general topics like fretboard navigation, and began teaching the style of other artists. I began to question my tuning choice. Should I stick with E-Flat tuning, or should I use Standard tuning for these non-SRV courses? It probably sounds crazy today, but at that time E-Flat tuning seemed like the best option. It was part of what I was known for, and it was part of the StevieSnacks identity (for better or worse). You see, I had no vision for anything beyond StevieSnacks at that time. I figured that StevieSnacks was it for me. How could anything be better? Then the vision for Texas Blues Alley began to haunt my waking hours. From January until late April of 2014 I began to make that vision into something real. Along the way I revisited the issue of tuning. 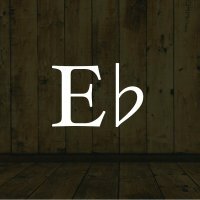 Should I stick with E-Flat tuning because it made my site different, or should I switch to Standard tuning because it makes the lessons easier for more people? E-Flat tuning is annoying for some people, but from a business standpoint it is much worse to be forgotten than to be annoying. E-Flat tuning got peopleís attention, and I was honestly afraid that dropping it would make my site less unique and more forgettable. After much thought on the subject, the solution became obvious. The vision for TXBA had a lot of unique things in it. I wanted to be known for those things, not for my tuning preference. So I chose a pragmatic middle ground. So if you run across a free lesson or a full course made during the StevieSnacks era, thereís a 99% chance that it uses E-Flat tuning. I totally get how annoying that is for those of you who arenít used to it. If you decide not to watch or buy, it wonít hurt my feelings.